existing since the 1600-1700's and possibly before. although being a working dog makes their origin and development as a Breed hard to trace. 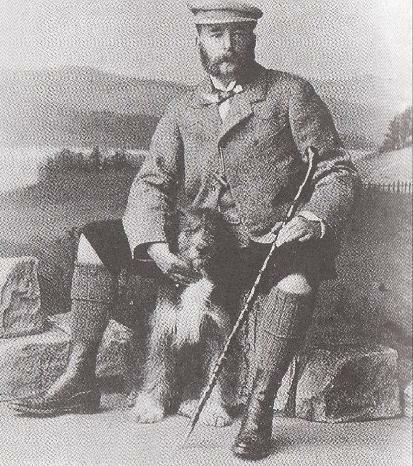 In the 1880's D. J. Thompson Grey suggested the working Shepherd's dogs were bred mostly without any planning. There are many theories, though none that can be proven due to the lack of records. It wasn't until the early 1900's an attempt was made at standardising the Breed. The common theory is the Bearded Collie Originated from mixing with the Polish Lowland Sheepdog, also known as the PON. Polish Merchants traded grain for sheep in Scotland in 1514, & bought Polish Lowland Sheepdogs to help move the sheep. PON became mixed with other local herding dogs and the Bearded Collie emerged. where the breed was used to herd sheep and drive off cattle for many miles without tiring over cold, rough terrain. However, some believe long coated sheep dogs have been in Britain from as early as 2000 BC. A study conducted in Britain in 1987 by Iris Combe's "Herding Dogs, their Origins and Development"
with some experts claiming the bearded collie was around to witness the Romans invading Britain. The uncanny likeness of the Bearded Collie to the Egyptian Sheepdog, also called Armant, leads some credibility to this theory. Real evidence of this dog isn't found until the early 1800s when a written description of the breed was published. Some also say they were intermixed with the Old English Sheepdog, also know as the OES. in the British Isles, to the North of England and Scotland. in effect any or all theories may be correct & true. when the Breed was transformed into a fixed Recognizable Breed. It was after the Victorian era that the bearded collie also became popular as a show dog. in bringing the breed to England and later to the United States. and the Highland strain having a gray and white coat. These two types were interbred, and eventually they were merged into just one breed. The bearded collie was close to extinction during the early part of the twentieth century. Mrs. G. O. Willison, the owner of Bothkennar Kennels, is credited with saving the breed. the Bearded Collie Club in Britain in 1955. In the late 1950s, this breed was first introduced to America. and by July 1969 the Bearded Collie Club of America was formed. The breed was recognized by the AKC in 1977.
a competitor in herding trials and agility, and a great companion.